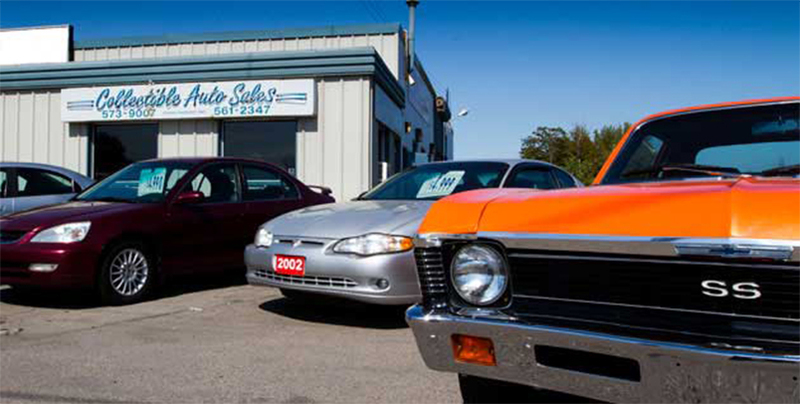 At Collectible Auto Sales, we provide our customers with a No Nonsense approach to their used car buying process. You deal one-on-one with the owner; no commission sales people. We have been selling used cars, used SUVs, used minivans and used trucks in Hamilton for 30 years; 27 years in our current location! We have many repeat customers, some of whom have been with us since we first opened. Collectible Auto Sales specializes in acquiring and stocking Trade-Ins from local, new car dealerships. We have found that these vehicles are, typically, better maintained than those that come through the auctions. We also find more one-owner vehicles this way. For your peace of mind, a Carfax Vehicle History Report is provided for every used vehicle we sell. Why buy used? Quite simply, Collectible Auto Sales can sell you a reliable, quality used car, used SUV, used minivan or used truck for what your new vehicle depreciation would be on day one!